Bride-be Esther Hananiya and her boyfriend of nine years are set to tie the knot on February 10th, in Jos, Plateau State. Taking to her Instagram four days ago, the excited bride-to-be shared side by side before and after photos with her man, chronicling their transformation. 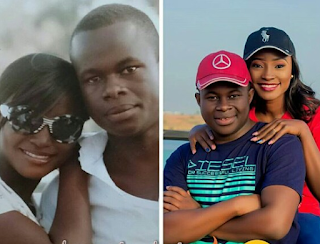 0 Response to "Photos: Few days to their wedding, Nigerian couple who dated for 9 years share before and after photos chronicling their amazing transformation"